This is a magic world question, and we certainly do not have anything on this planet which feeds on emotion. But if we did, I'm wondering how it might work with a look at science for something plausible. Feasting on particular pheromones in the air? It could eat other things as well, because just living on fear doesn't seem practical. (But if anyone can think of a way for it to JUST live on fear, party on! And let me know.) No matter what, this is going to be a stretch. I've been trying to figure out how one would google it and where the heck to start. If your answer is no, don't bother answering. I already know it's close to an impossibility. Again, looking to stretch the bounds of science to explain a creature which feeds on fear and how that would be managed. Consider the hormone Norepinephrine. On Earth, this chemical is produced by as part of the "fight-or-flight" response, that is, when an animal is panicking, anxious, or generally high strung. If your creature evolved separately, it might have a completely different use for the molecule. Instead of making the creature anxious, maybe it acts like an enjoyable drug, or maybe it serves as an essential micronutrient, like a vitamin. It could even be an aphrodisiac. Regardless, it's a chemical your creatures want. In order to actually get the Norepinephrine, the creature would have to induce great stress in a person (most easily by scaring them) and then extract the Norepinephrine from their bodies. They could act like leeches, secreting an anesthetic from their jaws and silently filtering it from the bloodstream, or they could violently rip out the person's adrenal glands (where the hormone is produced)--whatever's to your story's best interests. Unfortunately, it's not scientifically plausible for them to feed* off of the actual emotional state of fear, since that feeling is quite literally all in your head. It would have to be a chemical mechanism. Going straight for the hormone seems like your best bet, although there is some tentative evidence that emotional signals can be chemically imprinted in human sweat. *For commonly accepted definitions of "feed". Emotions are created from various transmitters. There is some good research into how emotions are formed displayed as the Lövheim cube of emotion. 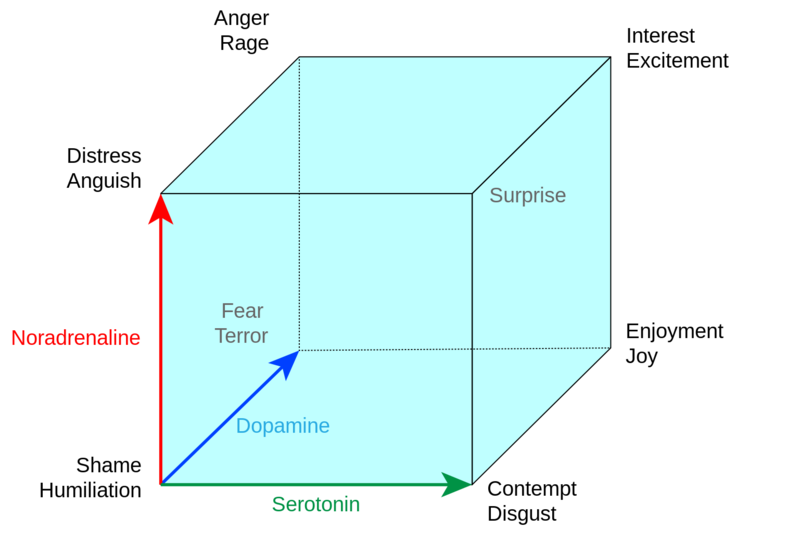 The following image is the Lövheim cube of emotion showing emotions with different levels of three major neurotransmitters. NB: The direction of the arrow implies increasing quantity. Therefore different combinations of this could provide feed for said creature. That is if you are wanting a strictly materialistic approach. You could justify a metaphysical back-world which actually creates emotions as an abstract metaphysical entity (but not that scientific given the current scientific philosophical paradigm). Perhaps we've got it wrong. Perhaps the creature doesn't derive any actual nutritional value from the emotions of others. Instead, maybe it possesses some psychic transceiver that "hijacks" the minds of others, so that they can do its thinking for it. Consider that, in the context of "survival of the fittest", having a large, on-board brain is pretty expensive. It requires a lot of blood, absorbs a lot of nutrients, and requires a nearly constant supply of oxygen. It is incredibly vulnerable to injury--any human can easily be incapacitated, maimed, or killed with a blow to the head, even if that blow would barely have caused injury to another part of the body. And, of course, a big brain is big. It's an obvious target, and it can't be easily concealed or otherwise protected, because it's closely connected with our sensory apparatus. It requires a big body to carry it around, and that body requires a lot of nutrients of its own. 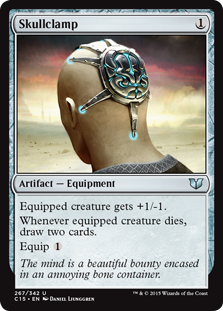 Thus, a "mind parasite" might have some significant advantages right out of the gate. If it can "outsource" its cognitive functions to some nearby human, it doesn't have to maintain all that computing hardware on premises. When no humans are around, it can use its tiny animal brain to act like a normal animal. When a human comes near, it can steal some of that human's data processing power to make some smart decisions. Of course, there's no telling what kind of bizarre, chaotic effects this will have on the emotions of the human host. Sure, there could (hypothetically) be a creature that feeds on "feelings", but it'd have to be alien (drastically different evolution). It could feed on the (rather weak) electric field neural impulses (not entirely unlike a Babel Fish). Deriving substantial energy would be a struggle for this creature, because it's essentially converting disorganized energy (brain waves are essentially random) into organized, which means, by the second law of thermo, only a fraction of the energy it absorbs would be available for metabolism and stuff). At the same time, it wouldn't require much energy; it'd just be a parasite. 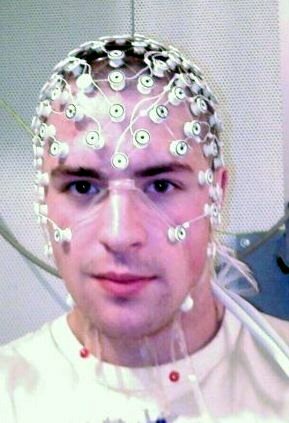 A subspecies specially adapted to humans could develop a specialized energy-harvesting organ for emotion-specific areas of the brain (in EEG scans, emotions generally correlate to specific areas). A creature (larger than a microorganism) feeding on fear or other emotions ie excess adrenaline, pheromones etc from a prey is not very plausible. But some applied hand waving might lead to a creature that doesn't specifically feed on those substances, but rather uses them as a catalyst to break down some energy-rich material otherwise not useful as food. Perhaps a certain pheromone is released by fear (true) that is "expensive" for the body to manufacture (plausible). Perhaps your creature evolved to use an otherwise unused nutrient for food by a process depending on that pheromone being present as a catalyst. (far fetched but not impossible) Utilizing fear-pheromone produced by others instead of making your own would be a logical step. This is not hard science, naturally, but it keeps the hand waving somewhat in the acceptable range for science based. I think it may be very difficult to actually get energy from emotions in the sense most physicists use, but there may be other versions which fit to your goals. Consider that you can find a lazy person with "low energy," scare the bejezus out of them, and watch how their energy levels skyrocket. You may be able to play games with this to get the desired effect. You may be able to have your creature get physical energy from other food sources, but be unable to render it into usable energy without the assistance of someone else's emotions. The first step would be to construct a metabolic system which fits the bill. For some reason, the creature needs to store energy in a form it can't utilize until it is in the presence of someone with strong emotions. Obviously this is a pretty strange thing to evolve, but since we're talking about the utter fringes of science, I'll handwave that away. I'd create a metabolism like this: the energy from food is stored in a normal form, like glucose or fatty acids or whatever makes sense. It cannot be used directly. To be used, it must be converted to CompoundA, which is converted to CompoundB. CompoundB would be the form which is actually usable by the creature. However, there's a catch. CompoundA is not very likely to convert to CompoundB. It's far more likely to try to convert to CompoundC which is totally and completely useless. The creature must undergo a physiological change to ensure it converts to CompoundB instead, such as the release of enzymes. So far this metabolism is pretty realistic. In fact, it's way simpler than the Krebs cycle so we haven't done anything too out of this world. Let's make it a bit different. What if the physiological change needed to make this work isn't always safe to undergo. Maybe it leaves the creature more vulnerable than it's comfortable with. It needs something to let it know that it's safe to undergo this effect. In any realistic creature, this would be some internal mechanism, but what if it's external. What if there's something about this creature that is an evolutionary dead end such that it is incapable of properly determining whether it is safe or not. Maybe it used to have a symbiote that let it know when it was safe, and that symbiote went extinct. Now you have a creature that literally cannot metabolize their own food without risking whatever horrible results occur from doing it in the wrong environment. Enter your human. Humans can detect all sorts of interesting things about the environment. The environment can affect our emotions, and we can act on them. Perhaps at some point our creature discovered that if nearby humans were exhibiting a particular emotion (such as fear) it was safe to metabolize. This could be passive, indicating that the human is just providing information about the safety of the environment, or it could be active. In the active case, it would imply that the creature knows it can manipulate the human to respond to the situation as long as that human is experiencing the desired emotion. The creature might be able to manipulate the human into sacrificing their own health and wellbeing to protect the creature, but only if the human is experiencing mortal terror. If this ever happened, the creatures would get mighty good at causing these emotions, might quick. Most studies indicate emotions have a remarkably low nutritional value. Any hypothetical organism feeding on them would die of starvation. Thus it is most probable Darwinian evolution would remove them from the gene pool. However, there could be a monster with highly developed mirror neurones. This creature obtains great pleasure from the stimulation of responding to the emotions of its victims. The stronger the emotion the greater the pleasure. This does mean, in purely human oriented pejorative terms, that this monster is a pervert deriving vicarious pleasure from the suffering of its victims. Now whether the monster is a magical human being with hypertrophied mirror neurons or is simply an animal with a similar capacity I will leave to the ingenuity of the OP to devise as they see fit. No. It’s just a particular meaning ascribed to a brain state. Imagine a creature that feeds off having the check-engine light on in your car: not the power from the specific indicator bulb, but gets energy from how many log entries are in the OBD. That's simply not an energy source. There is no potential energy between different values in the program. You could say that some people do feed on fear already. We humans are, in evolution terms, transitioning from a predator's lifestyle to a more tame gatherer lifestyle. Think about it. We have canine teeth. The vast majority of us eat flesh. Yet, as a species, we do not hunt. The instinct of hunting is still strong in some of us, though. That's partially the reason why we make a sport out of it. Some people make a lifestyle out of it. But why do we do that, when it is much cheaper, convenient, and generally safer to go to the closest grocery store for meat? Sometimes people don't even eat their catch, but make trophies or hat out of it. I reason that the thrill of the hunt is something some people crave. Just like some people are driven onto solving problems, and some others enjoy composing music, or writing books or software, some people are compelled to kill, violently, for no reason - at least no reason that we may perceive in a first glance. Sometimes the killer will also go into cannibalism. Sometimes the killer will kill multiple times. Do notice that serial killing an cannibalism usually go hand in hand. Would this somehow relate to hunting for food? Now take into account that the psychopaths above do not, as a rule of thumb, kill their victims in swift, painless or in any otherwise ways subtle (i.e. : lethal injection or other forms of poisoning, a bullet to the back of the skull while the victim sleeps). Would it have been the same if the victims had not suffered? I believe many of those killers take actual pleasure from the suffering of their victims. And while a serial killer does not convert the fear and pain of their victims into adenosine triphosphate - the fact remains that watching closely while others suffer so greatly, or even provoking that suffering, is a craving that serial killers feel the need to satiate. So maybe your fictional creatures need the tension of the killing for their mental health, just like we humans need things like love, trust and friendship. Maybe your creatures have the psychological profile of a human serial killer because they do feed on humans. P.S. : I don't mean to imply that carnivore animals are necessarily cruel because they hunt. Cruelty is something I can only attribute to human beings in our real world, and arguably some intelligent animals like chimps and dolphins, but that's a stretch and by no means I think they come close to us in such aspect. But it does seem, sometimes, like the thrill of the hunt is a real necessity for some animals. Some people think that's the reason we can't keep beasts like the great white shark in confinement - they mostly refuse to eat food that they have not caught themselves. I like the sight of fear in the morning. Your creature could be releasing a hormone only when he is confronting a creature that fears it. This system is similar to flight response but works in a twisted way. This explanation does not even need to detect fear any other than seeing someone afraid. If you make these creatures fear inducing, there would even be an evolutionary advantage. The specimens that can induce more fear, thus protecting the nest, will have more of this hormone. Now make that hormone related to the reproduction, you are then good to go. A little less directly than some of the answers suggesting the creature feed on hormones, one of the things adrenaline or other fight-or-flight hormones does, is get the body ready for action - including increasing the easily available energy in the body, including glucose in the blood, so that the body can readily act. So perhaps your creature doesn't directly feed on fear, but uses the fear to increase the food value of its prey - either as filtering or directly feeding on the blood, as a parasite or predator. Any production of adrenaline would function the same way, it doesn't have to be fear, but fear is probably easiest for such a creature (predator, or parasite) to induce in its prey... whether through physical or chemical means (a physical attack or some kind of drug or venom). This makes slightly more sense to me than the creature feeding off of the hormones directly, that seems more specialized and less likely. On the other hand, if you want to loosen your requirements a little, and allow a little hand-waving (and, perhaps including Renan's idea of parapsychology), you might find something a little more direct. The idea of auras, or the stone tape phenomenon, suggest that the magnetic, electric, or chemical interactions of living bodies can manifest in a subtle field of energy surrounding the person - essentially a very weak field of leaking waste energy, but we are hand-waving, so go with it. If this might be so, then it is possible that an adrenaline response could charge up the aura in a way similar to the way it charges up the body, releasing stored energy into accessible forms, the better for a body in crisis to be able to use it. Then, if your creature can feed off that weak energy field or leaked bio-electric impulses or brainwaves or whatever, producing fear should increase the the energy and therefore the food value of what it gets, instead of or in addition to getting glucose and other forms of energy out of adrenaline charged blood. Given the weak and limited nature of this theoretical aura, and the limits of transmitting energy over any distance, the creature would still need to be extremely close to or touching its prey (or physically dug in), in order to be able to access this energy. Also, as with physical adrenaline responses, fear itself isn't necessary, any strong emotion should give similar stress responses - but fear may be easier for the creature to induce or recognize. Possibly the process of being fed on (feeling weak as the blood is filtered or energy fed from) may produce fear or despair, even if the initial reaction the creature wanted (fight-or-flight) could just as well have been from any stress response. Emotions are simply the product of various chemicals produced in the brain such as oxytocin, serotonin, and dopamine. Perhaps your hypothetical creature feeds on these chemicals or has become addicted to them? What do people do when they're afraid? Fight or flight. And running, movement, is an energy that can be harnessed. Somebody could make one. There are devices that can harness energy from movement, even from our daily lives, like fans that catch the wind made by large passing trucks, or a stair that sinks when you step on it. Imagine a creature that when seen inspires complete terror. The maze/set up includes a monster, a way to harness energy from the flight, and some feedback mechanism to the, possibly manufactured, creature based off the take. The difference between running and walking though (other than which routes you'd take) is power, but the work is the same. What kind of creature could 'feed off emotion'? It's in the blood. People respond differently when they're terrified, whether it's not thinking clearly, or running farther than normal with adrenaline. This does involve some science. It could be a virus or something really small, like tics. There's also Dream Crabs in Doctor Who. Not the answer you're looking for? 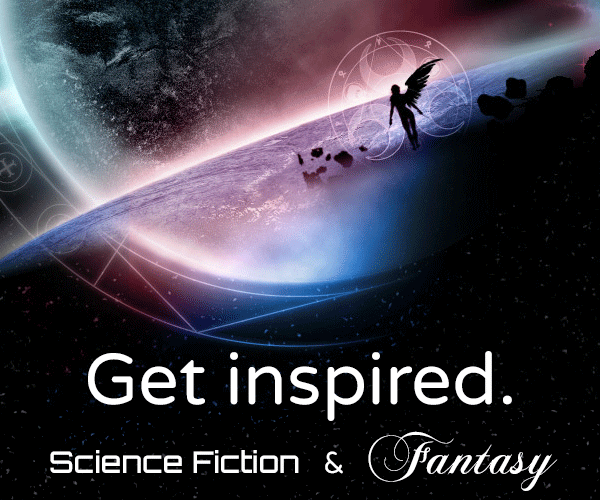 Browse other questions tagged science-based reality-check creature-design mythical-creatures or ask your own question. How to realistically explain a creature that eats dreams and nightmares? How can I explain a unicorn that shoots spinning horns? Best mythical creature to use as livestock?